Tablets are about to do a lot more than entertain cats, if financial institutions get their way. A sweeping 92 percent of financial industry panelists who participated in Celent’s 2015 Branch Transformation Research Panel survey said they expect tablets to be highly or extremely likely to be used by front line staff in the future. Why? According to Celent’s follow-up survey and report, The Tablet Stampede: How Branches Will Change in the Short Term, some see tablets replacing some or all desktop computers in branches, reducing costs and creating a more open and inviting space. And many believe they can be a helpful tool for more efficient service and sales. But how exactly are banks currently using or planning to take advantage of the handy tablet? Here are six ways tablets can be put to use in the branch. About nine out of 10 financial institutions in Celent’s tablet survey agreed that enrolling clients in digital offers, and merchandizing and demonstrating those offerings was an important or extremely important to near-term branch planning—and tablets can be used to do just that. Working to get more clients to use your mobile check deposit or other digital services? Give a quick demo using a tablet to show them exactly how. Tablets can also facilitate electronic queuing or appointment booking, so your clients can quickly check-in or set up a meeting for another time. 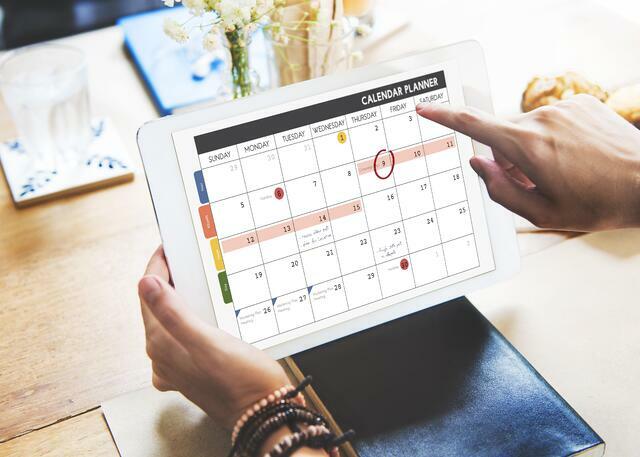 75 percent of large institutions in Celent's tablet survey said it will be important to allow clients set up sales or service appointments digitally. 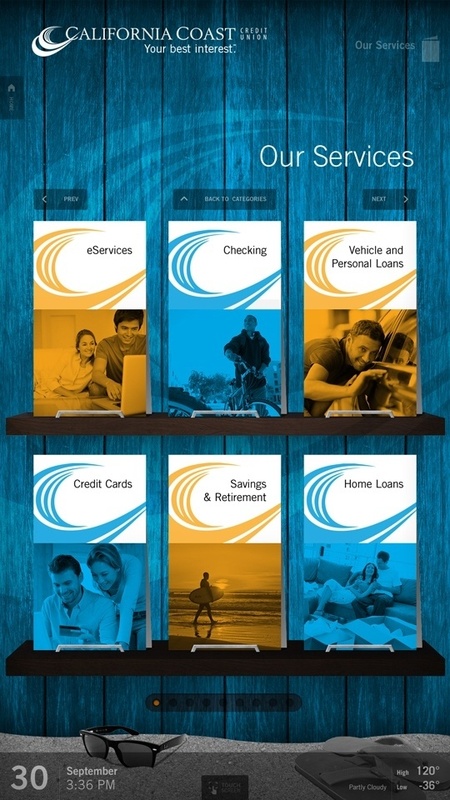 This has been available for clients at some large banks since 2013, and stands to give branches a way to better meet client needs and improve sales. 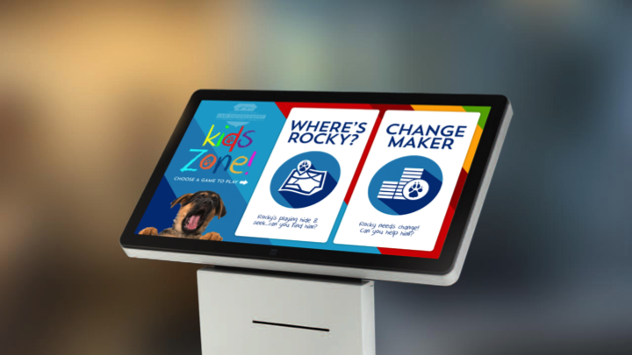 Tablets can help provide self-service or assisted self-service opportunities beyond the ATM—like ordering or replacing a credit card, cashing a check, selecting specific denominations, payments or transfers, printing checks, and more. About 86 percent of tablet survey participants expect self-service transaction growth to be an important part of their branch plans. Keep in mind, for self-service to be full-service, it must be integrated into your teller application. 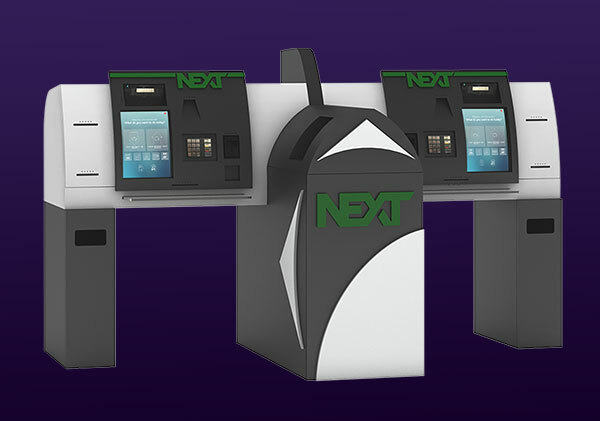 Luckily, CFM offers integration of your existing cash recyclers and dispensers with a self-service solution like NEXT. Got clients waiting or using self-service options? Providing a tablet with a digital brochure-like app for them to browse on their own or with an associate, can be an effective way to promote your products and service. Providing “next-best-product prompts” to front line employees was another extremely important channel capability among 42 percent of larger institutions in Celent’s tablet survey. Having a customizable app like Financial Healthcheck on your branch tablets can help more branches achieve this kind of customer-centric engagement strategy. 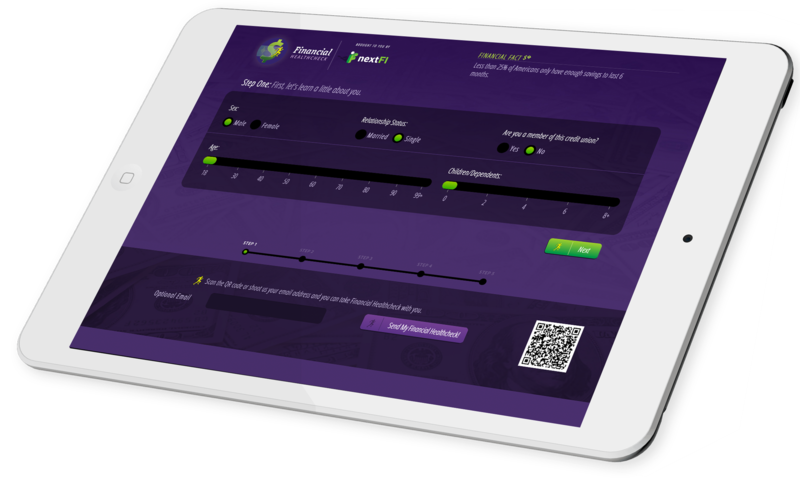 The app gives customers a quick way to check their financial health, while giving you valuable insights for a more informed sales conversation. For employees in a universal associate role, a tablet can give them the opportunity to help clients with anything they need, from anywhere in the branch, including transactions. With Remote Transaction Assist (RTA) for example, staff can securely process transactions through your recycler or dispenser from any tablet or device, without disrupting other clients or tellers. Need to help a parent who brought the kids along? Some branches are starting to see tablets as a great device to entertain kids while they wait. Through the Digital Signage Agency, DBSI offers branded games that educate and entertain on tablets or larger interactive devices. It’s clear that tablets are seen as key for more efficient transactions and better engagement in branches today. According to Celent’s tablet survey, many are well on their way, with 32 percent of small institutions and 50 percent of large institutions already testing the use of tablets with front-line staff. So why aren’t tablets already in use in branches across the U.S.? Most institutions surveyed cited a lack of software as their greatest barrier to getting started using tablets in their branches, but that may soon be changing with the importance its gaining. DBSI has helped a number of banks and credit unions deploy tablets in their branches. Contact us below for more information or help with putting tablets to work with some of the suggestions above in your branch.